Middle East Forum President Daniel Pipes was interviewed by the English language service of France 24 TV on July 15 to discuss the terror attack in Nice, France, that left 84 dead. The transcript below has been slightly edited for clarity. France 24: For more insight, we can cross now live to Philadelphia and speak to Daniel Pipes, president of the Middle East Forum. Thank you very much for being with us here on France Vingt-Quatre this evening. The French president, François Hollande, says this attack [in Nice] has an "undeniable terrorist nature". But is it too early to call this a terrorist attack? Daniel Pipes: I prefer to stay away from the word "terrorist." There's such debate over what is terrorist and what is not terrorist, and I think it's a somewhat artificial debate. Who cares if it's terrorist or not? What is important is ... the motivation. Was this some crazy guy who was angry at the world? Some criminal out for gain? Or is this a jihadi, getting back at the France that he despises? That's the important thing, and everything one has learned suggests this is a young Muslim of Tunisian origins, who despises France, and wanted to hit it at its most vulnerable and in a most symbolic way—the Bastille Day celebration. F24: But if it's the work of terrorists or not, why has France once again been the target? DP: I think France is the target because there is a rage that's not unique to France – we see it in Belgium, we see it in the United States, we see it in many other countries – but in France there's a rage, a rage that is being manifested in these attacks, a sense that Islam needs and Muslims need to be protected, and the way to do it is to attack the French. "[T]here's a rage ... a great sense of alienation, a great anger at being a Muslim in France." Attack them in the Stade de France, attack them in the kosher supermarket, attack them at Charlie Hebdo, attack them in the cafes, attack them on Bastille Day. If you look at opinion surveys, if you look at analyses of Muslim opinion, especially among the young, you see great resentment, a great sense of alienation, a great anger at being a Muslim in France. F24: Speaking following Thursday's bloodshed in Nice, French president François Hollande says that he's going to strengthen France's role in the international fight against the Islamic State group in Iraq and in Syria— but that fight has been going on for quite some time now, what more can be done? DP: I expect that ISIS/ISIL/Daesh/Islamic State will collapse before long in Syria and Iraq. It's not going to collapse everywhere, not in Libya, and Nigeria, and Somalia. It's not going to collapse as an idea, it's not going to collapse as a caliphate. 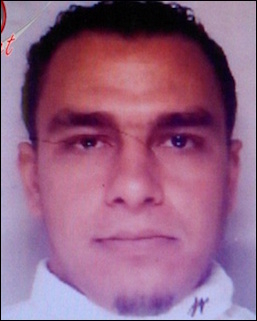 Mohamed Lahouaiej Bouhlel, the killer in Nice. I don't think there's much relation between the state that now exists in Syria-Iraq and what's taking place in France. Get rid of ISIS and these problems will still be there. What's so remarkable, what ISIS tapped into, is that you can simply inspire – you don't have to plan, you don't have to get into logistics and money and arms – you can simply say, "Go kill Frenchmen," and then there will be some people who follow you. By the way, the call to French Muslims to attack non-Muslim Frenchmen went out over a year ago, and you can see the response. It's not a huge one, but it is definitely a powerful one, and there's every reason to think it will continue. You might also note that so many of these attacks do not use guns; they use knives, bombs, cars, trucks, implements that cannot be easily regulated. F24: Middle East states and Muslim clerics have united this Friday in condemning this attack. Leaders there seem keen to distance themselves from what could be another radical Islamist attack. Why is that, do you think? DP: Well, if you're not at the fringe of the Islamist movement, engaging in violence against non-Muslims, or even Muslims in some cases, as in Medina a week or two ago, you find this appalling. "This kind of barbaric assault ... [is] incredibly harmful to the Islamist cause." In other words, if you are trying to forward the Islamist agenda, you want to do so through the schools and the courtroom and the parliament, and take modest steps that don't hurt anybody. You want halal kitchens, polygamy accepted, and the like. This kind of barbaric assault, killing dozens of people, doesn't help at all. It arouses anger. Indeed, I would say it's events like this, which capture the imagination of the entire West and create a kind of morbid fascination about it, are incredibly harmful to the Islamist cause. It's the last thing Islamists need. Every time there's a major atrocity like this, a cohort of Westerners go from saying "This has nothing to do with Islam, it's about poor people not fulfilling their potential," to saying "This is about Islamism, this is about a radical form of Islam that attacks everyone who disagrees with it." Thus is it doing great disservice to the Islamist movement. F24: Okay, Daniel Pipes, president of the Middle East Forum in Philadelphia, thank you very much for that insight. Thank you very much.